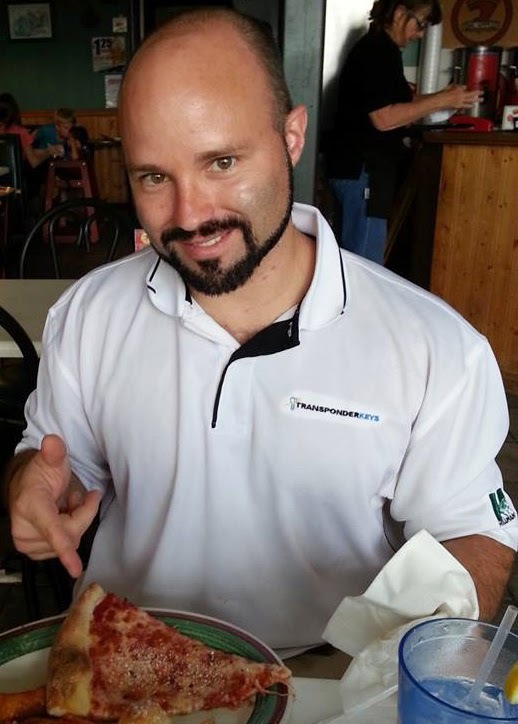 My son Chad said to me this past week, no one except you and I eat the antipasto salad, maybe if you make it into a sandwich the family will eat everything in it. We love a great salad and in a this huge submarine garlic toasted bread antipasto style, all I can say it wow he was right, they all loved it. As packed as this was with meat, lettuce and cheeses, it went in a New York second! I had to make a second one! 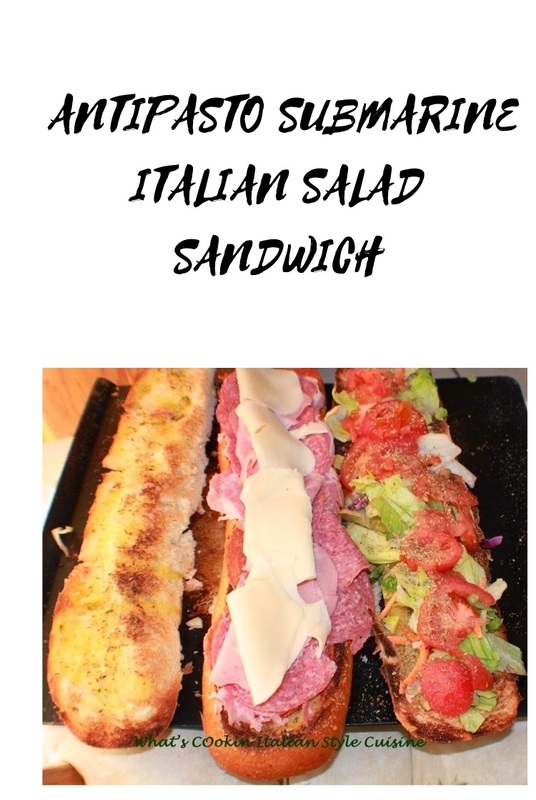 So not only was it a great idea, it worked like a charm and everything in our normal salad is in this wonderful sangwich(that's how we say it in New York)! Thanks Chad! Since the whole family loves a good meat tray style Antipasto and I love a great salad with lots of greens I decided to incorporate them. My bunch aren't big on just salad but they love the meats in a tunnel sandwich, aka hoagie, submarine sandwich. My son Chad was right they all loved it. A Way To Get Them To Eat Salad! My guys love to eat meat, bread and are happy but they got their greens in this big loaf. It was gone before I could blink an eye. The men in my house rarely eat salad but in this loaf it was gobbled up in no time flat! Everyone loved it and now I make it every game day for a good sports meal for the family. Sometimes you just have to hide the healthy stuff! I do try and get creative to make them eat healthier here. This was still filled with everything they love meats and garlic bread but besides all the high fat foods, I hid that salad in there. Just a simple sprinkle of olive oil, vinegar and any kind of spices enhances the flavors, always use homemade ingredients for the best results. The combination of flavors made this submarine a huge hit. Now they ask for it every time we get together. This submarine sandwich is easy to make and you can change it up with everything your family likes. 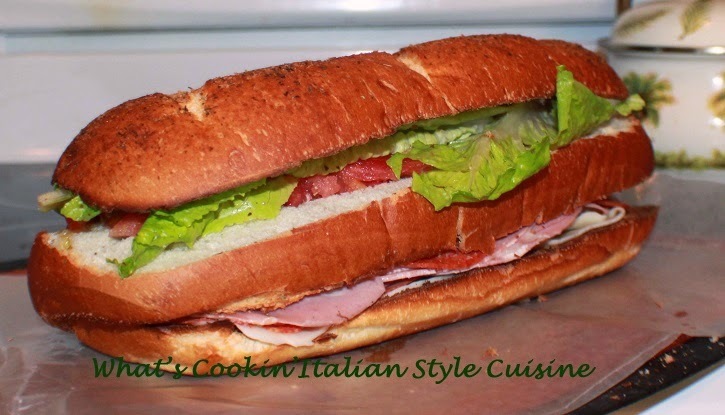 I personally love salami and just provolone but they like all the usual meats in this Italian sub. You can personalize yours any way you like. I give you several suggestions below, what you can add to yours. I use a good grade of deli imported meats and cheeses. Hot Capicola is a favorite here with Mortadella. Sharp provolone is a must have in there and sliced mozzarella cheese. Combined with a great Italian homemade dressing, this Antipasto Submarine Salad Sandwich was a huge success. Slice the bread in 3 layers, brush each layer with olive oil, add herbs, spices and minced garlic to each top layer. Sprinkle with grating cheese. Broil each layer a few minutes until browned, watching carefully not to burn. You can add whatever you put into your salad on here. We even made the second one with olive oil packed Tuna on it. Delicious! After you have stacked each sliced layer with whatever you like, drizzle with vinegar, olive oil, sprinkle with basil, oregano, grating cheese and mangia! That is one great looking sandwich Claudia and I love the ingredients - might be a little hard to get my mouth around it though. Great minds definitely think alike, Claudia. I had something very similar for lunch today. I've never met an antipasto I didn't like and neither has my family, but I'd happily eat a sandwich at every meal as well and combining two of my favorite things is bliss. Now if a chocolate brownie just "fit in." Now, that is one great looking sandwich. Definitely a meal in itself. Your son is absolutely right. I bet if I made this sandwich my husband would actually fold the laundry on a semi-regular basis. Looks incredibly satisfying! I love a good sub and all my favorites are in there and the best looks so good. This sandwich looks amazing! I love all the layers and the salad on top for a little crunch. Love everything about this. Yum! 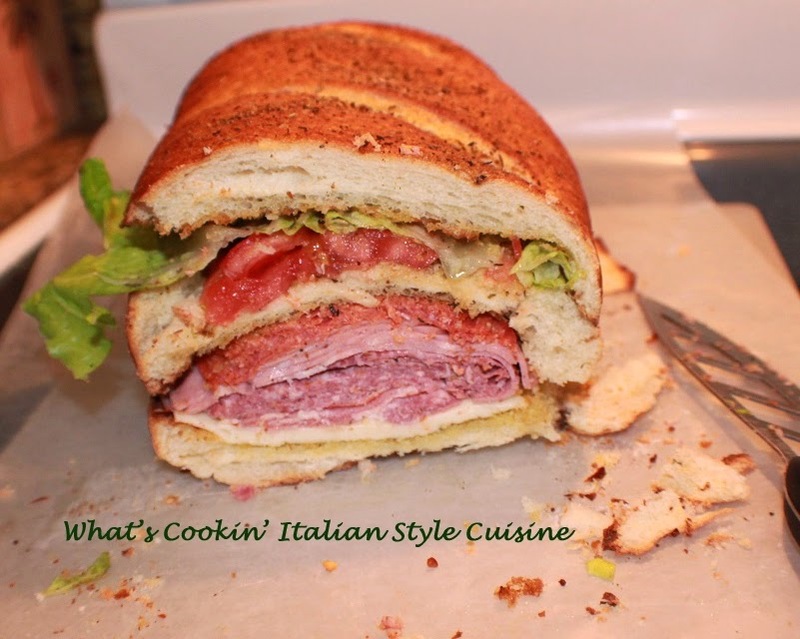 What's not to love, Claudia, so yummy flavors in this Italian salad sandwich! Yummy! I am really craving one of these now! I used to make them weekly and then cut off slices for my kid's lunch. Putting the salad between the meat and cheese kept it from getting soggy which was perfect for school lunches. I think I'll go make one of these beauties for me! This looks so good, Claudia!! 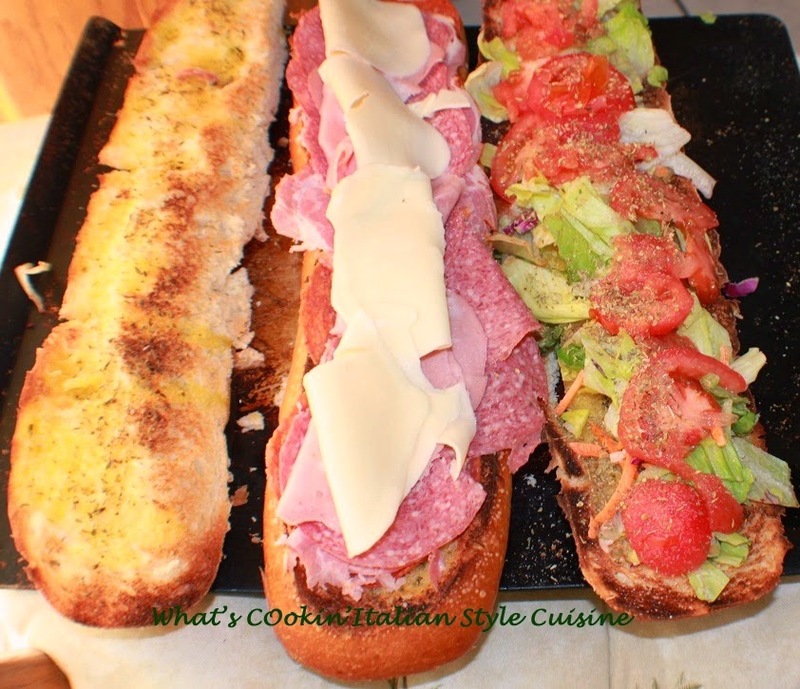 My husband is a huge fan of Italian subs, and I know he'd absolutely love this one!